Another card headed to Houston as part of the Hope You Can Cling To card drive over at Splitcoast. 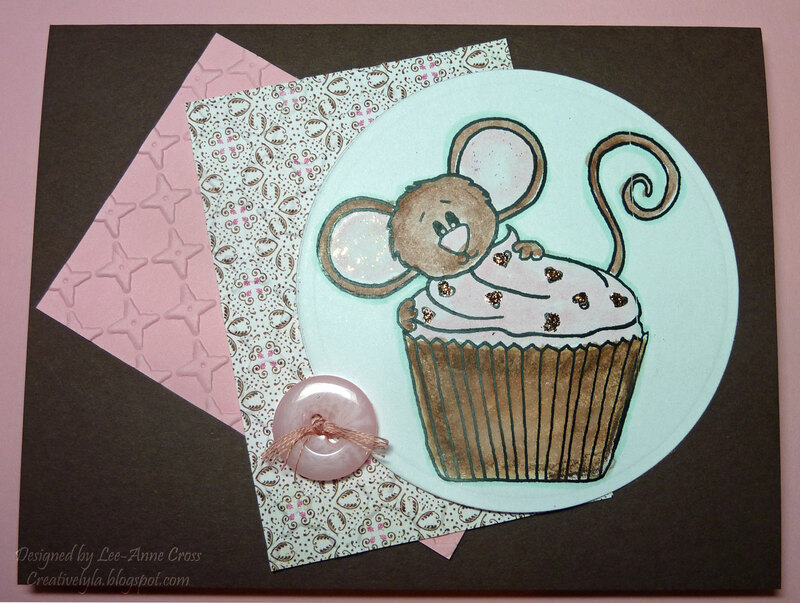 A double challenge card today – use a cupcake for the CAS challenge and use paint for the HYCCT challenge. My little digi image has been colored with watercolor crayons and a waterbrush. Then the little hearts on top of the cupcake were colored with Stickles. I also used a watered down version of Stickles to paint the inside of Cocoa’s little pink ears. A simple layout with a couple of rectangles that have been dry embossed, a circular Nestie for the focal image and a button embellie. Easy peasy! Oh, this is a cutie! I love your color combo, and that little Cocoa is as sweet as the cupcake!